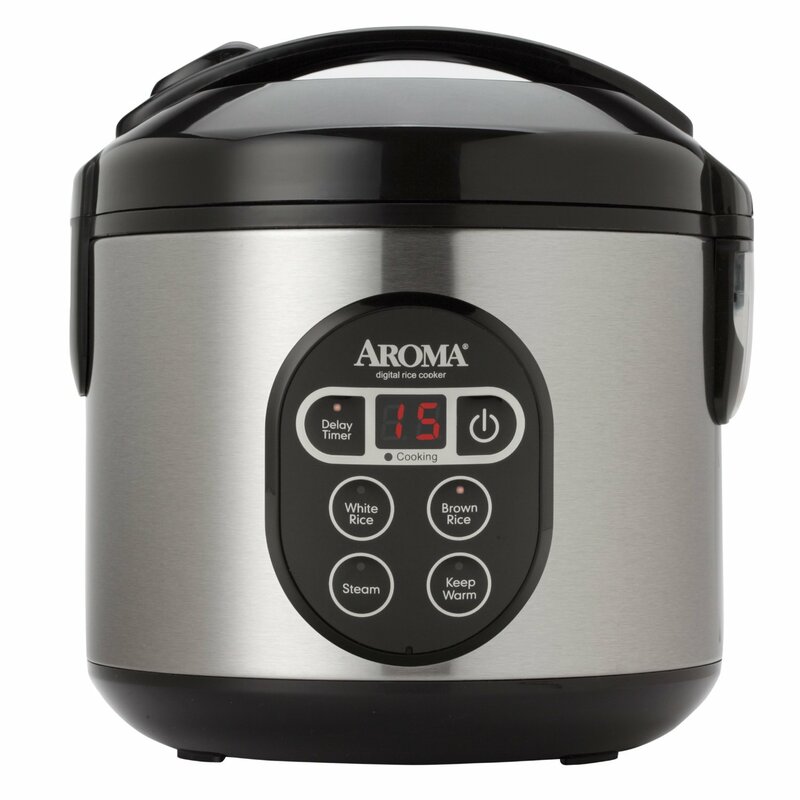 It's been 3 years since I got my Aroma Digital Rice Steamer. So I decided it was time to share my review of how it's worked in my kitchen. Along with sharing some of my favorite recipes for delicious rice and grains, you can learn a few of the tricks I've discovered to make perfect grains every time. You can never go wrong with a great rice side dish. Or maybe a base for a yummy stir-fry. Or any number of other ways to enjoy rice and grains. After reviewing many different choices, I picked the Aroma brand for my rice steamer for several reasons. First, the capacity. This can make 8 cups of rice. At a half cup per portion, you could feed 16 with one batch. Granted I've never tried to feed 16 people at once, but it's nice to know I can. Second, it has both a white rice setting and a brown rice one. That's important when you use healthy grains like quinoa and millet. Use the brown rice setting for these, which cooks a bit longer giving you fluffier grains. The third and final reason I chose the Aroma brand was the price. It's not the cheapest one on the market, but it's certainly affordable and fit nicely into my tight budget. A feature of the Aroma Digital Rice Steamer that I didn't think I would need is a delayed timer setting. WOW - that has turned out to be the feature I most enjoy. If I want to serve dinner at 6, I just start the rice steamer at 3, set it for 3 hours delayed and the perfect rice is ready when the rest of dinner is finished. The delay cycle is long enough that you can set it before leaving for work if you want. Since I've cooked different grains and a variety of rices, I can offer you a few tips to make them perfectly every time. For grains like quinoa and millet, I've found that a little bit less liquid makes a perfectly cooked grain. The Aroma rice steamer comes with a measuring cup for the grains. Per each cup of grain, I use 1 1/2 cups of liquid. For wild rice, I use 2 1/4 cups of liquid. For stickier rice, I use about 2 cups of water and for long grain rices, I use about 1 3/4 cups of liquid. This may seem a little picky, but it matters. You want the rice or grains to turn out to be perfect for the recipe you're making so a little pickiness works wonders. All the water is absorbed into the rice so the amount does matter. One of my family's favorite recipes is Onion Wild Rice. And it's so easy to do. This recipe makes 4 servings. Finely chop about half of a yellow or white onion. Add the onions and the dry wild rice to your rice cooker. Add 2 1/4 cups of broth, vegetable, chicken or beef broth works. Add in a dash of salt and pepper to your own taste. 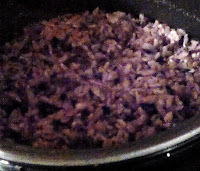 Stir the mixture up and turn on the rice cooker to the brown rice setting. See, I told you it was easy. I've tried it with ground dried Shitake mushrooms as well and that works great, too. With a rice steamer, you can let your imagination help you create interesting dishes. Stir this up and turn on your rice cooker, setting for brown rice. Another simple way to add healthy grains to you meals. The market has many different rice steamers. Nearly every small kitchen appliance maker makes one. So you will need to make a choice. The Aroma brand is not as well known as others, which is why I felt it needed a review after all my years of using it. Companies like Oster and Cuisinart also make rice steamers. You may be more comfortable with a brand you recognize. Besides the brand name, you also want to consider capacity. Make sure you can make enough cooked rice to feed your family. For many price is a major consideration. 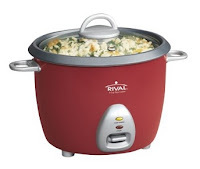 You need to balance how often you will use the rice steamer, the features, the capacity, and the price. See more about how to choose a small kitchen appliance for your own needs. See more great product reviews at Review This! Products. What's red, resembles a donation kettle at Christmas-time, and cooks rice without muss or fuss? 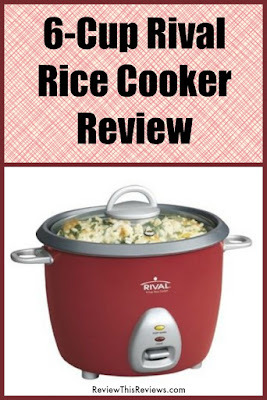 It's one of my favorite kitchen appliances, the RC61, 6-cup small Rival rice cooker and steamer, the perfect rice cooker for a family of two or three. I've owned this cute kitchen appliance for five years now and use it faithfully and frequently. In fact, since I got it I haven't prepared rice any other way. It's great for any kind of rice that I've tried (my favorites are jasmine and good-for-you brown rice) and makes plenty for our family of two plus a couple servings more, up to six cups total. 1. It has a steamer basket (as shown in the picture above). I'll often add fresh broccoli, green beans, or asparagus while the rice cooks, preparing two parts of the meal in the same space as one, just a little taller! 2. It's so easy to clean! The pot part of the cooker has a non-stick finish and requires little more than a good soapy swish and rinse after the meal's over. 1. Measuring the rice and the water. Don't confuse the rice measuring cup that comes with the cooker with a regular, 1-cup measuring cup. When the included instructions and cookbook refer to "cups," they always mean the rice cup, which actually holds less than a measured cup. The first time you use the rice pot, use 1 rice-cup of rice and add liquid (I like to mix chicken broth and water) to the "1" mark on the inside of the pot. Cook as directed (i.e. put on the lid, plug it in, and move the selector to "Cook") and you'll see how much cooked rice you'll get. Usually, that amount will be enough for a side dish of rice for two people. 2. Will this size be big enough? If you usually cook for more than two or three people, it's likely that you'll want to choose the next size up. However, I'm surprised how inexpensive these convenient gadgets are, so having one small (like this) and one large-capacity version on hand isn't a bad idea at all since they really take up very little storage space. When we have the extended family present, a large rice cooker would occasionally come in very handy. Another benefit of this appliance (that I'd almost call a requirement in anyone's kitchen) is the price. At around $2, it's super-affordable and makes a very nice wedding or shower gift. While you’re at it, pick up or order two, one for the gift recipient and one for yourself. Can you tell I like my little red Rival rice cooker? 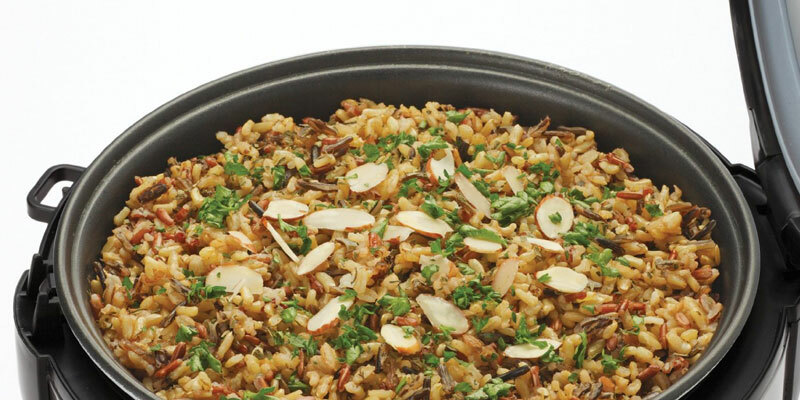 If you and your family enjoy healthy meals that include rice, I think you'll like it, too. Here’s the link to find the Rival RC61 on eBay and here it is at Amazon.com. P.S. Here's a tasty tip. Use your rice cooker to make rice pilaf. Simply add chopped, sauteed vegetables (celery, onions, carrots) to the rice and water/chicken stock before cooking for an easy, flavorful, dressed-up side dish. makes an easy but special side dish.